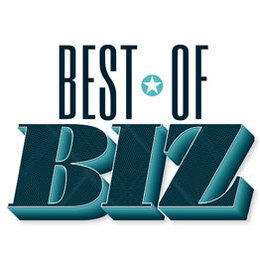 Our annual Best of Biz list is not one we take lightly. Through months of research, discussion and consideration of online nominations, we carefully compile our Editors’ and Readers’ Lists in an effort to present to you, our readers, the businesses we feel are truly the best in their fields. It’s not an easy job, but it’s one we look forward to each year, as a chance to highlight those businesses that have found a way to excel. We hope you find the list helpful, and we hope you know that when you’re finding your way on the road to success, these businesses will be right there ready to help. Without further ado, we present to you our 2015 Best of Biz. The Alloy Silverstein Group prides itself in having three separate companies under one roof, keeping their headquarters close to their hearts in South Jersey, and working with clients—not just for them—to provide accounting and tax services that extend beyond what’s necessary during just tax season. Did you know? The firm was recently honored with the Business Partner Award in celebration of Rutgers School of Business–Camden's 25th anniversary. BAS—which also specializes in payroll, accounting and tax services—has become a leading name in the tri-state area for its dedication to small and independently owned businesses and their finances. Did you know? Business Accounting Systems has more than 44 years of bookkeeping experience—experience that customers have come to fully appreciate. Headquartered in Cherry Hill, TD Bank is one of the top 10 largest banks in the country. Their customer-centric model fuels their success thanks to dedicated relationship managers who work to analyze needs and make recommendations. Did you know? More than 5,000 of the bank’s 26,000 U.S. employees work in the South Jersey market. This landscaping company strikes a unique balance between offering the resources of a larger company, while also providing the client attention to detail one would expect if the owner himself was on every site. Did you know? Young’s staff of specialized technicians undergoes in-house training, while also attending external educational opportunities, and is well-versed in everything from chemical applications to design to hardscape and landscape installations to winter services. Thomas Edison State College offers associate, bachelor’s and master’s degrees in more than 100 areas of study and is geared toward working adults, who attend school part-time while handling their professional and personal responsibilities. Did you know? Thomas Edison State College has enjoyed a strong relationship with the United States military for more than 30 years, and has programs with each branch of the armed services to provide unique educational opportunities to enlisted personnel. Over the past 30 years, Bohler Engineering has grown from a home office in New Jersey to 20 offices spanning the East Coast. The company goes above and beyond what is typically expected from a consultant, taking the time to understand their clients’ business and consistently delivering the highest quality product and service in the industry. Did you know? Bohler has designed multiple award-winning corporate campuses that have helped keep companies such as Church & Dwight, Bayer, BASF and Dress Barn, as well as their employees, in New Jersey. In business for 26 years, Strategic Wealth Planners is an independent financial planning firm offering a variety of financial services, including retirement planning, annuities, life insurance and estate planning. Did you know? Their commitment to handling each client’s financial needs with a personal approach, making sure the advice best suits their needs, sets them apart. Founded in 1944, AJM Insurance provides quality insurance products through a proactive approach, persistence and professionalism, is one of the largest insurance agencies in Southern New Jersey and is part of AssuredPartners Inc.
Did you know? President Tony Mahon is dedicated to community involvement and weaves into his life the activities that come with it. Among his many pursuits, in the summer of 2013, Mahon created a series of free summer Youth Football and Cheer Clinics. To date, more than 1,000 boys and girls have participated in these free clinics. NJM was founded in 1913 with a single purpose—to serve its policyholders, guided by the principles of service, integrity and financial stewardship. True to that mission, NJM has returned nearly $5.7 billion in dividends to policyholders—not stockholders—since 1918. Today, NJM is New Jersey’s largest carrier of workers’ compensation, insuring more than 16,000 Garden State businesses. Did you know? NJM’s Hammonton office, which opened in 2010, was designed with an eye toward environmental sustainability. For example, the grounds are landscaped exclusively with plant species native to the Pinelands, and rainwater is collected off the roof and from seven retention basins on the property, going into irrigation tanks to water plants throughout the site. Originally headquartered in Camden, Archer & Greiner moved to Haddonfield in 1973, and in an effort to meet the needs of its growing client base, opened three additional offices in New Jersey and Delaware, with the possibility of more not out of the question. Did you know? The attorneys and staff at Archer & Greiner are proud of their commitment to their communities, and they participate in many civic and charitable activities throughout the year. The Hotel ML is the only full service, independently branded hotel in Mount Laurel, and offers more than 14,000 square feet of event and meeting space. Did you know? The Hotel ML is attached to CoCo Key, a 55,000-square-foot indoor water resort. Family-owned and operated for 50 years, revenue for The Protocall Group has increased 50 percent in the last three years and the top managers have over 200 years combined experience and industry knowledge. Did you know? Protocall owns and manages a national staffing association that focuses on sharing best practices amongst non-competing companies. USAPhone is a Cherry Hill-based communications installation, service and consulting firm founded in 1981, providing hosted, VoIP phone systems to businesses throughout the United States. Did you know? USAPhone provides remote monitoring so they can respond to an issue before the customer even knows there is a problem, regardless if the problem is on the local area network or wide area network. opening presentations of high-quality food. Did you know? Started in 1998, foodwerx began as a foodservice provider for real estate developers and property management companies before expanding to catering and five corporate locations today. Despite experiencing plenty of growth, Investors still conducts their business like a community bank, meaning they can compete with larger financial institutions without losing that friendly, hands-on approach to customer service. Did you know? Investors prides itself on their four core values, or what they call the Four C’s: cooperation, character, community and commitment. A registered New Jersey small business that offers tailored support services for owners involved in capital construction programs, New Road’s experience, direct involvement and commitment of senior management with each of its clients sets them apart in the industry. Did you know? On projects where New Road performs full service project management, the company has a record of keeping change orders to less than 1 percent of the budget, saving their clients money. The MBA program at Rutgers-Camden is designed to develop innovative leaders and critical thinkers that employers are looking for in today’s marketplace. The program is fully credited by AACSB International and offers flexibility for working professionals with evening and weekend classes. Did you know? Every spring, the Rutgers MBA program offers a course that includes a study trip to South Africa during spring break. The course counts as a three-credit management or marketing elective. Event planning runs the gamut from small corporate board meetings to large weddings, and Aloft Mount Laurel has the functional space to manage all of them. Did you know? Meeting rooms at Aloft have a modern décor and enhanced technology, including ceiling mounted projectors and drop down screens, and the hotel’s team of group, executive meetings and social events managers are dedicated to making every event successful. When you want practical, realistic and experienced business legal advice, turn to McDowell Posternock Apell & Detrick, PC. With a proven track record of success, their attorneys have been serving South Jersey business owners and leaders for more than 35 years. Did you know? Whether you need legal counsel to proactively resolve business disputes; create or update contracts or shareholder agreements; manage real estate deals and land use issues; develop estate plans that incorporate the complexities of your business; or in the event of a downturn, manage restructuring through Chapter 13 bankruptcy, their attorneys are here to help. GCV is a company that prides itself on creating the highest quality videos for its clients. The staff at GCV has a passion for what they do and simply put, they care. Whether a client is looking for a television commercial, trade show video or a corporate web video, they enjoy developing new ideas that will engage the audience. Did you know? World of Warcraft was once installed on every workstation at GCV for a company game night. Since opening its doors in early 2012, WCRE has grown into a commercial real estate market leader. 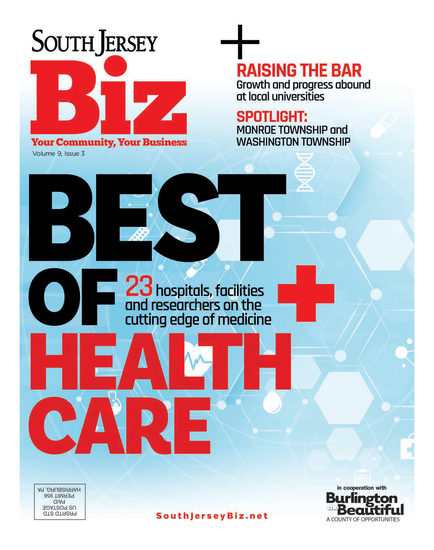 It has evolved into a team of 12 professionals entrusted with 3.5 million square feet of office, medical, retail, industrial space and land in southern New Jersey and the Philadelphia region. Did you know? The firm is also a leader in charitable giving through its Community Commitment program, in which a portion of commissions earned is donated to a charity chosen by WCRE's clients. Managing Principal Jason Wolf says: "Success in our business, or any business, is driven by a combination of knowledge, passion, a sincere commitment to building lasting relationships with your clients and dedication to improving your community." Located in Voorhees Town Center, Catelli Duo caters to the casual dinner meeting and larger business gathering-alike. Tech-savvy and ready to please, the restaurant has audio and visual components available as well as seating options to fit all needs. Did you know? Whether it’s a pharmaceutical representative highlighting the latest breakthroughs or an investment firm presenting to possible investors, Catelli Duo works with every host to make sure their event is a success. Cruise Planners has a tremendous reputation for quality, service and very competitive pricing for all your travel needs. Did you know? Cruise Planners travel agents work with every type of travel vendor—from cruise ships to hotels to tour operators—and will work with you to see if you have any recommendations. Published (and copyrighted) in South Jersey Biz, Volume 5, Issue 8 (August, 2015).